THE COMPETITION: Da Vinci’s Disciples Book Two! Ready (willing and eager) to see the cover of the much-anticipated second book in the Da Vinci’s Disciples trilogy? Well, we hope so, because here it is (be sure to read to the end of the post for an extra special bonus!). “I knew I wanted the second book in this trilogy to be a little more personal, get into the lives of these courageous women, and da Vinci himself, a bit more deeply. Oh, they are still daring to go where women had never gone before in the Renaissance, and they put everything on the line for the love of their art—their marriages, their family relationships, even their lives—to do it, to bring their work out into the open, no matter the consequence. Another form of art is explored through their eyes, through their hands. But in THE COMPETITION, I’ve pulled back more of the layers of their lives and the secrets they may hold. Love bursts to fulfillment, desire is ignited, disastrous illnesses change lives, and familial condemnations are shattered. All set amidst the glory that is Florence during the Renaissance. A commission to paint a fresco in the church of Santo Spirito is about to be announced and Florence’s countless artists each seek the fame and glory this lucrative contract will provide. Viviana, a noblewoman freed from a terrible marriage, and now able to pursue her artistic passions, sees a potential life-altering opportunity for herself and her fellow artists. The women first speak to Lorenzo de’ Medici himself, and finally, they submit a bid for the right to paint it. And they win. The very public commission belongs to them. But with the victory comes a powerful cost. The church will not stand for women painting, especially not in a house of worship. The city is not ready to consider women in positions of power, and in Florence, artists wield tremendous power. Even the women themselves are hesitant; the attention they will bring up) on themselves will disrupt their families, and even put them in physical danger. All the while, Viviana grows closer to Sansone, her soldier lover, who is bringing to her a joy that she never knew with her deceased husband. And fellow-artist Isabetta has a flame reignited, sparked by Lorenzo himself. Power and passion collide in this sumptuous historical novel of shattering limitations, one brushstroke at a time. THE COMPETITION: Da Vinci’s Disciples Book Two goes on sale April 25, 2017. Pre-order a copy here. Now, are you ready to see the cover? Haven’t read the first book yet? Now’s your chance at a special reduced price. For the next SEVEN days (beginning November 2 until November 9! ), the Kindle version of PORTRAIT OF A CONSPIRACY IS ONLY $.99…that’s a $7 savings! Read the first critically acclaimed book, fall in love with these daring women, and get ready to fight beside them for the right to be who they truly want to be in THE COMPETITION. 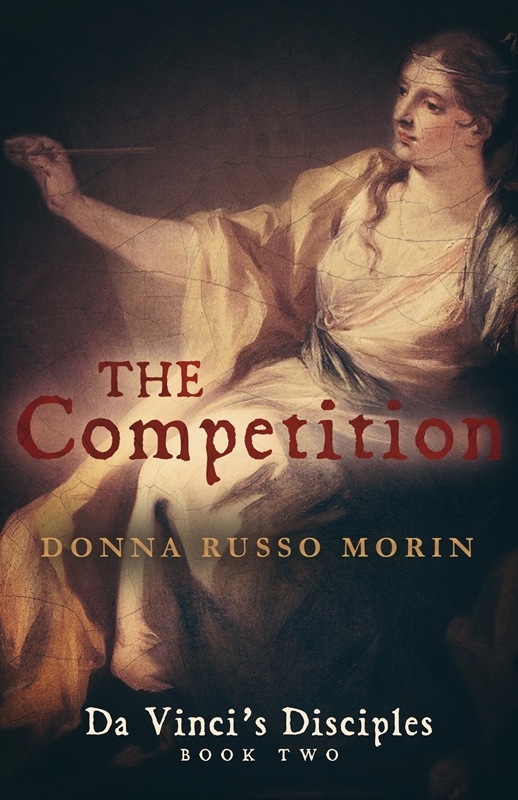 Donna Russo Morin is the award winning of author of historical fiction. A graduate of the University of Rhode Island, she lives near the shore with her two sons, Devon and Dylan, her greatest works in progress. Donna enjoys meeting with book groups in person and via Skype chat. 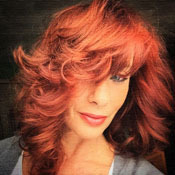 Visit her website at www.donnarussomorin.com; friend her on Facebook and follow her on Twitter @DonnaRussoMorin. New Kate Quinn in 2017: The Alice Network!